For years Rory Pullens has been the one who got away. LA Unified offered the former TV writer/producer turned educator, the top post at the district’s premiere arts high school — Ramon C. Cortines School of the Visual and Performing Arts — and he turned it down. Twice. But the stars have finally aligned for Pullens and the district. 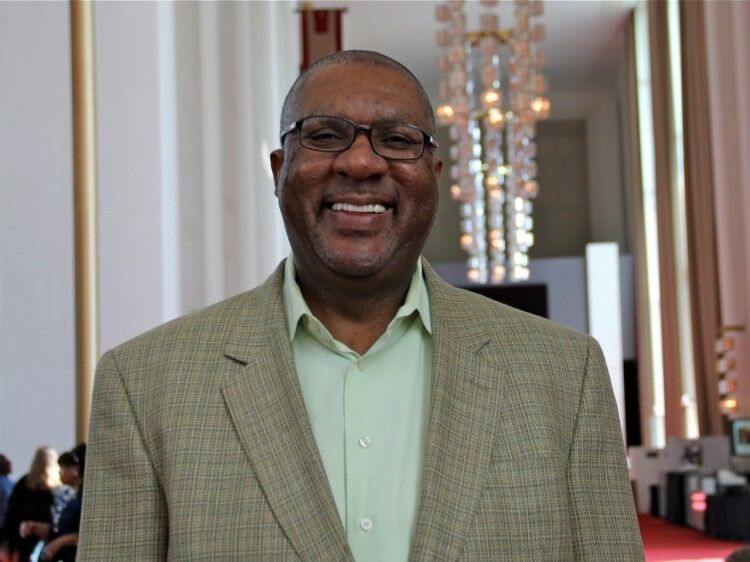 He is leaving his post as head of the Duke Ellington School of the Arts in Washington, D.C. and come this fall, he will take the helm of arts education for the district. He’s signed a one-year, $147,086 contract, to “ensure increased arts education opportunities and integrated arts instruction” for students across the district. LA School Report caught up with Pullens, who is still in school, thanks to the particularly rough winter on the East Coast that lead to a ton of snow days, extending the school year well into June. Q: Many people seemed surprised when LA Unified announced you had been hired to lead its arts education programs; some even complained that the job had never been posted. Was it a sudden decision or had you been involved in behind-the-scenes-negotiations? RP: Those who know my background and my experience find it as no surprise that I have been considered for such a position. I have been courted by LAUSD for sometime now and over the years the district. I have connected philosophically, and we have connected artistically. So it was really just a matter of time before we were able to formalize a working relationship as we are now. Q: So far you’ve been a teacher, a principal, and the head of one of the most prestigious arts high schools in the country. How does that prepare you to run the arts programs and create a new arts curriculum for the second largest school district in the country? RP: Being at the Duke Ellington School, I had to take on leadership capacities in providing direction for district arts education, and that is also going to be very useful. At the same time, I have also been serving as the president of the Arts Schools Network, a national organization that represents 300 arts schools nationally, for the past year. We provide resources and professional development for arts educators all over the country and being in that role has given me the opportunity to interact and lead from a different administrative perspective that is much more similar to what I will be moving into with LA Unified. And last but not least I am so grateful now especially that I have been a principal on every level of K-12 education. When I was in Denver, I actually started the first arts elementary school in Denver Public Schools before I ran the Denver School of the Arts. All of these years of experience have given me insights into the internal workings and needs that arts educators and administrators grapple with in providing suitable arts education for their students. Q: In 2012 the school board voted to make arts education a “core” subject and drastically increase access to those classes, but it’s recently come to light that very little has happened to bring that to fruition. Instead, the district has been devoting funds to expanding arts integration, making art part of other courses. How do you plan to address this issue? RP: Formalizing arts Integration is something that has to really be looked at carefully. Not that arts integration in itself is not valued, and has not shown to be effective, but when you look at implementing that on a large scale you have to study the ripple effects and the repercussions of making certain decisions. I’m certainly going to have to get more apprised of the particulars as to how this Is scheduled to be integrated into the system, but until I get all of that Information I certainly cannot come up with a final conclusion or a final perspective. But I think that it’s very important that that dialogue does occur. Q: But does arts integration inspire the same kind of passion in kids that you talk about in your TED Talk, as straight forward arts classes? RP: The reality is this: Nothing beats having a discrete, full-time arts teacher in every artistic form at every school. And in a perfect world, every child would be able to have that full-year opportunity of dance, theater, instrumental or vocal music, or visual arts but unfortunately we don’t live in a perfect world, and what’s driving a lot of these decisions is the budget, or lack thereof. Q: That’s a perfect segue into a conversation about money. Since 2007, LA Unified has cut arts funding by 76 percent, from a budgeted high of $78.6 million to $18.6 million. How do you plan to restore some of that funding? RP: There are a number of viable ways that we as a public school district can actually come up with additional revenue streams. At Duke Ellington we created a separate non-profit which is dedicated exclusively to raising funds for the school. We started programs like the Performance Series of Legends where I called upon top-tier entertainers including Stevie Wonder, Paul Simon, Smoky Robinson and Earth, Wind, and Fire, to donate their time and services to raise money. We can definitely do something similar in LA — it’s the entertainment capital of the world. It’s not that people [here] are not willing to help but someone needs to articulate how there can be a beneficial relationship between the entertainment industry, the various artists in LA and students in schools.